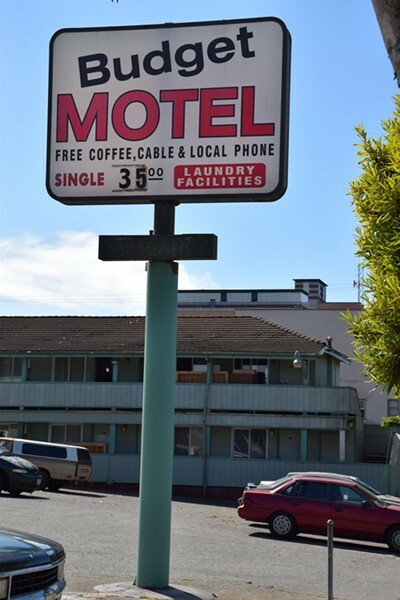 The city of Eureka’s efforts to shutter the Budget Motel on Fourth Street have been put on hold. This afternoon Bradford Floyd, a local attorney representing the Budget Motel’s owner, David Kushwaha, received a temporary restraining order to halt the city’s plans to clear the property tomorrow. On the heels of a recent code inspection that turned up 341 violations, the city served Kushwaha and his tenants on Monday with notice that it would enforce a notice to vacate the property at 8 a.m. tomorrow. Eureka Chief Building Official Brian Gerving, who’s also serving as acting city manager while Greg Sparks is on vacation, said the city feels the property poses an immediate threat to the health and safety of its residents, first responders and the general public. Specifically, Gerving said widespread bedbug and cockroach infestations, open and unpermitted electrical wiring, rot and mold render the place unfit for habitation. Additionally, Gerving said, inspectors noted missing plumbing fixtures — like toilets and sinks — in some rooms and unrepaired fire damage in others. The case is set for a hearing at 8:45 a.m., at which point a judge may determine whether the city can follow through with its plans to clear each of the hotel’s 44 rooms, board them up and fence off the property. If the evictions proceed, Gerving said tenants of the property will be given a relocation assistance funds under the law — money to help them pay first and last month’s rent at a new a place, as well as utility start up costs. Gerving said this comes out to $1,600 per unit, which Kushwaha is legally obligated to pay. Because Kushwaha is currently not cooperating, Gerving said the city is preparing to pay out those funds to displaced tenants and then pursue reimbursement from the property owner. But Gerving noted the law only allows for $1,600 for each of the property’s inhabited unit. Normally the city would pay that amount to whoever the legal tenant is — that is, whoever’s name the lease or rental agreement is under. But in this case, Gerving said, some tenants might not have proof of legal residency. “I’m quite certain that some of the people there who have been living there and have be en paying rent would not be able to provide us with any documentation that they’ve been living there, things like receipts or rental agreements,” he said, adding that the city will work off a tenant list it prepared while serving a code enforcement warrant a couple of weeks back. But even that could prove complicated, as many of the property’s 30 or so occupied rooms had multiple people staying in them and the $1,600 is to be paid out on a per-unit basis. “We’re still in the process of determining the best way of identifying the person who gets the relocation funds,” Gerving said, adding that the city hopes to distribute the funds this evening or tomorrow morning. Gerving estimated there are “roughly 40” people currently living at the motel, though others have guessed the number to be more than 100. As to where these people go if the motel is shuttered, Gerving said that’s unclear. The Humboldt County Department of Health and Human Services is working with its clients — folks on general relief or receiving CalFresh or MediCal benefits — to help them secure housing. Others are being referred to DHHS to see if they qualify for any services, or to nonprofit providers like Betty Chinn. The city is not actively helping any of the residents find housing. The pervasive bedbug infestation at the property has some concerned about what will happen if tenants are forced out. A memorandum about the code enforcement inspection prepared by the county Department of Environmental Health notes that "bedbugs were observed via live bedbugs, dead bedbugs, blood spots and bedbug feces in units 107, 108, 111, 114, 204, 206, 208, 209, 214, 215, 216," a storage room, the motel's main office and four units in the west wing. Another eight units weren't inspected during the visit for various reasons. Bedbug infestations are notoriously hard to get rid of, and there's a concern displaced tenants from the Budget Motel could spread them to new apartment buildings, motels and shelters, as the bugs are known to hunker down in luggage, bedding and even clothing. Bedbugs can be killed by washing clothes and bedding in hot water and drying them at high heat. Gerving said the Humboldt County Department of Social Services has distributed "informational materials" to tenants on bedbugs and that city officials will advise tenants about the risks of taking their belongings with them when they leave the property. Gerving said the city won't be providing any place for tenants to store what they do not take with them, and whatever is left behind will be boarded up inside the building. Of course, all that's on hold pending tomorrow's hearing.